Tim Tebow has been under intense scrutiny. The former NFL quarterback was mocked left and right for retiring from football and pursuing a professional baseball career. But Tebow is on the verge of a big move that could quiet all of his haters for once and for all. Tim Tebow has been characterized by his grinding work ethic and determination. Those traits led him to a successful college football career where he won two national championships, and became the first second-year player to win the Heisman trophy. Tebow’s brief NFL career was marked with stark ups and downs. Tebow took over a 1-4 Broncos team and led them to an upset playoff victory over the Pittsburgh Steelers, but also struggled to find consistency as a pocket passer. Tebow was also ridiculed for being a devout Christian. People who express their religiosity are routinely attacked by the left in America. They can’t stand the thought of someone believing in God. Some NFL players derided his praying, and several members of the press seemed to delight in his failure. That negative attitude followed Tebow when he announced he would endeavor to play professional baseball. Many people in the media called the move a publicity stunt and a desperate attempt to remain relevant. But as Tebow is apt to do, he proved the doubters wrong. After a 10-year hiatus from baseball —Tebow was a solid high school prospect —Tebow got off to a rocky start. He racked up a high number of strikeouts with minimal contact and committed a few fielding blunders. But since then, Tebow has looked more and more like a legitimate baseball player with each passing day. In his first season, Tebow was promoted from Single-A ball to the New York Mets’ Double-A affiliate. This season, Tebow built on his year one momentum and became a minor league all-star. Now one baseball analyst expects him to get called up to the majors. Tebow has defied the odds and proven he is a legitimate prospect. If Tebow didn’t have the chops, he would’ve flamed out quickly. But in only his second year as a professional baseball player, Tebow was named a Double A Eastern League All-Star, and backed up his selection by batting .270 with 5 homeruns and 33 RBI on the season. Not only have Tebow’s main numbers risen, his analytics have improved as well. One rival manager noted Tebow’s strikeout rate has decreased dramatically, and his plate discipline is much better. Tebow is no longer hacking away at bad pitches. 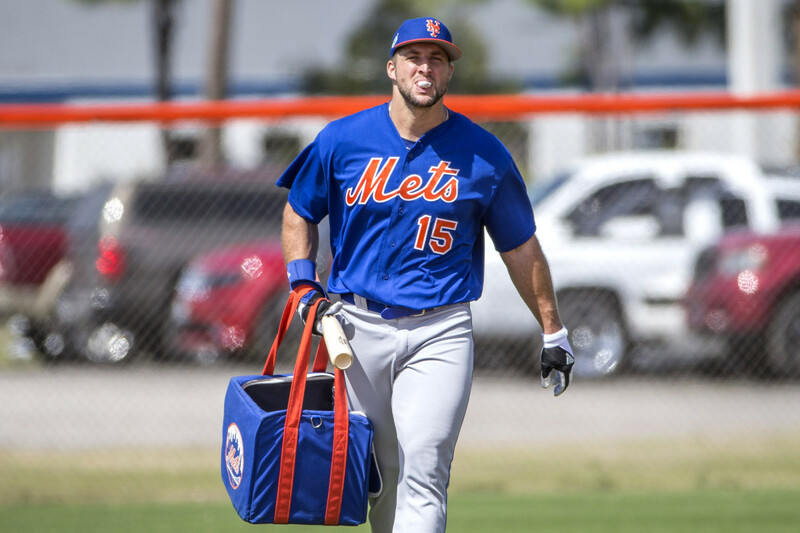 Mets general manager Sandy Alderson said he expected Tebow to make it to the majors one day. If Tebow continues on his trajectory, he will prove his boss to be a very wise man.